This year sees some incredible events happening across the whole of the Alps. From electrifying skiing championships, unusual sporting events on the snow and a whole host of music festivals hitting the Alps, there’s more than enough to keep you occupied this 2019. The European Alps offer some of the best skiing opportunities in the world, so wherever you go, make sure you find some time to explore the slopes. Here’s our list of unmissable alpine skiing events in 2019. Skiing enthusiasts won’t be disappointed this year, as there are plenty of events to catch. Whether you’re keen to watch thrilling downhill skiing, a ski jumping competition or a slalom race, the Alps have got you covered this 2019. Perhaps the biggest event happening on the slopes in 2019 is the FIS Alpine skiing world cup. Founded by the International Ski Federation (FIS) in 1967, this year will be the 53rd event. Over 90 races and a whole load of potential skiing champions are heading to the Alps. Watch athletes compete at slalom events, giant slalom, team events, speed events, downhill and super events at several locations across Europe from January until March. 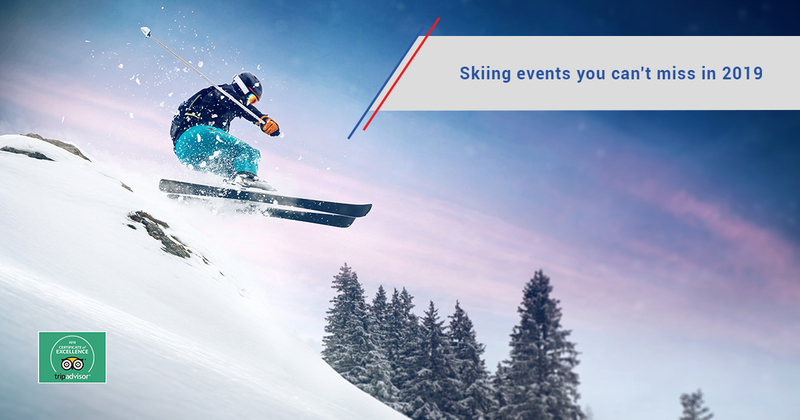 Reaching speeds that will make your eyes water, these ski racing events are not to be missed. You might even spot a champion cross the finish line! It’s not skiing but it’s still a sport and it’s played on the snow! This unusual rugby event covers six of the best French ski resorts in as many days. This year, star players such as Serge Betsen, Simon Shaw, Christophe Dominici, Mike Tindall and Olivier Magne will be taking part. To see some top-quality players tackle and dive on the snow, head to Val Thorens, Les Menuires, Chatel, Megeve, La Clusaz or Valmorel this February. This much loved cross country skiing event takes place on the 2nd and 3rd of February in Cortina. Watch participants glide along an old railway on Nordic combined ski tracks. Visit Cortina in Italy, not only to watch this charming sports event, but to explore the ski resort that hosted the iconic winter Olympics in 1956. From the 12th to the 14th April in St. Anton Am Amberg, Austria, the fifth snow volleyball European tour will be kicking off. Watch one of the international men’s and women’s teams win the highly coveted European tour medal and explore the pistes in the birthplace of skiing while you’re at it! If you’re less interested in watching Olympic skiing and more interested in having some fun on the slopes, these events should be right up your street. Get ready for some LGBTQ fun in Les Arcs, France! Expect cabaret shows, pool parties and some world class skiing thrown in for good measure. European Gay ski week kicks off on the 23rd of March. The Paradiski ski area is one of the best in Europe, so make sure you save some time for the slopes! 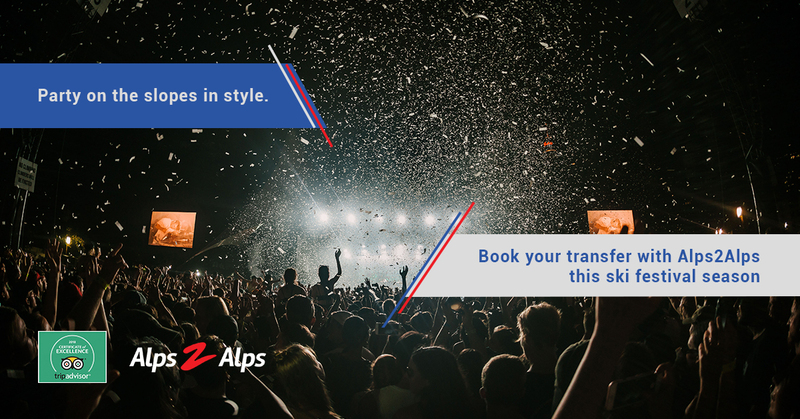 Fancy combining a skiing holiday with some serious partying and watching world class DJ’s perform live on stage? 2019 has some big things on the horizon in the world of snowsport music festivals. A word of warning: don’t go too heavy on the booze or your skiing will suffer! For the first time, the notorious Belgian festival Tomorrowland is gearing up for a winter edition from the 13th March. With around 30,000 global revellers expected to attend, this novel festival hosted by Alpe d’huez ski resort is set to be a banger. The star-studded winter line-up includes the likes of Martin Garrix, Dimitri Vegas and Like Mike, Sunnery James, Ryan Marciano and DJ Ghost. Rock the Pistes festival is taking place in the Portes du Soleil ski region for a week commencing on the 17th March. Free concerts and gigs are taking place across different ski resorts in the area, with big headline acts such as The Horrors and Wolf performing this year. All you need is your lift pass and a whole lot of energy! The French ski resort Avoriaz is hosting this week long festival famous for its massive headliners and late night parties. Taking place from the 23rd March, this year, the festival is welcoming FatboySlim and Chase and Status! Snowboxx isn’t just about the music. There will also be competitions going on during the day from different skiing disciplines as well as stand up comedy. If you’re into underground house and techno, this festival is for you. Taking place in Chamonix on the 2nd-7th April, this year will be welcoming Jeff Mills to the party. If you’re hangover allows, Chamonix offers great ski to blow away the cobwebs. Austria’s international music and skiing festival, Snowbombing is a party not for the faint hearted! Ski all day, party all night and listen to music legends like Liam Gallagher, Dizzee Rascal and Rudimental! One of the best things about this event is the massive fancy dress party swarming the streets, the largest in Austria. Make sure you pack an extra special outfit so you don’t look out of place! If cramming a massive gorilla suit into your suitcase leaves little room for ski gear, you could always rent your ski equipment from our conveniently located rental points. The Alps2Alps ski rental service offers expert fittings and means you can fit that extra pair of fairy wings in your bag. The festival takes place in Mayrhofen from the 9th-14th April. Zermatt unplugged offers revellers a chance to see massive international artists in an intimate setting. Jessie J and Passenger are just a few of the fantastic acts they’ve announced so far. Zermatt in Switzerland is also famous for its world class restaurants and the festival includes a ‘Taste Village’ for partiers to try some delectable traditional fair. The festival is being held 9th-13th April. While it’s still a long way off, Rise festival in December 2019 is not one to be missed. Set atop a glacier in Les Deux Alps, Rise festival is a great event for those who want to ski and dance in equal measure. Enjoy the vast and varied runs during the day, and party to grime, garage and house until the early hours. With this list of unmissable events to choose from, it might be hard to whittle it down to one or two! Whichever events you choose to visit on your 2019 skiing holiday, we can help get you there smoothly. Here at Alps2Alps we make it our business to provide reliable airport transfers that don’t cost the earth. Book a low-cost ski transfer using our handy app to gain access to exclusive discounts and midweek offers.